Liver function tests are conducted in order to determine whether your liver is functioning as it should, as well as to look for any abnormalities that may be indicators of conditions such as liver disease and liver infections. 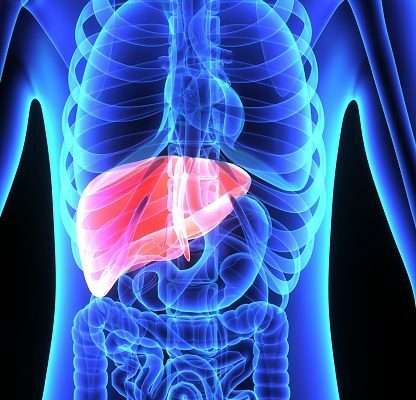 To better understand how liver function tests are performed, what they look for, and why they are completed, continue reading. The tests are administered to measure the levels of certain enzymes and protein in the blood. They may be conducted to check if you have liver disease, especially if you are experiencing symptoms like darker urine, loss of appetite, swelling in the abdomen, weakness or fatigue, and jaundice. Your doctor is more likely to administer a liver function test if you are a heavy drinker, have a family history of liver disease, are obese and have diabetes or high blood pressure, or are taking medications that may harm your liver. Alanine Transaminase (ALT) Test. This test checks your levels of ALT—an enzyme that helps break down protein and is found primarily in the liver. If your levels are too high, it may indicate liver damage. Alkaline Phosphatase (ALP) Test. ALP is an enzyme found in the liver, bile ducts, and bone. High levels of this enzyme in the blood may mean you have liver damage, a blocked bile duct, or bone disease. Albumin and Total Protein Test. This test checks the levels of the two main proteins produced by your liver—albumin and globulin. Low levels of these proteins could signify liver damage or disease. Aspartate Transaminase (AST) Test. High levels of AST—another enzyme found in the liver—may mean you have liver disease or other liver damage. Bilirubin test. The breakdown of red blood cells creates bilirubin, which your liver normally flushes from your body. High levels of bilirubin and the presence of jaundice could mean you have liver damage. Gamma-Glutamyltransferase (GGT) Test. High GGT levels may potentially point to damage of the liver or bile duct. L-Lactate Dehydrogenase (LD) test. Raised LD levels could be due to liver damage, though there are other causes that may increase levels. Prothrombin Time (PT) test. This test measures the amount of time it takes for your blood to clot. Though blood-thinning medications can affect this rate, blood that clots slowly may also be due to liver damage. Some foods and medications may affect the results of certain liver function tests, so you may be required to fast before your test for approximately 10 to 12 hours, and skip any doses of medication. A liver function test is a simple blood test where your doctor will use a very thin needle and draw a small volume of blood into a vial for testing. Usually, blood is taken from the crook of the elbow and the procedure is very fast. You may experience some bruising or soreness around the area afterward. There are rarely any serious side effects or risks associated with a properly performed blood test, though in some cases, you may experience hematoma (bleeding under the skin), excessive bleeding, bruising, fainting, and infection if the site is not cleaned and cared for properly. What do liver function test results mean? Depending on which tests are conducted, higher or lower levels of specific enzymes and proteins may indicate liver damage. Your results are usually shown alongside normal numbers for comparison, and if yours are abnormal, then more testing may be required. A liver function test is a simple blood test that can help determine whether you have any conditions that may be damaging your liver by measuring the levels of certain proteins and enzymes. The test is relatively fast and painless, though you may be required to fast beforehand, and the results will tell you whether or not there is evidence of liver damage in your blood.